The hooder model IMP.A.C. STRETCH A-60 achieves the maximum pallet protection and stabilization by stretching the hood just under the pallet. Due to its high working capacity (max. 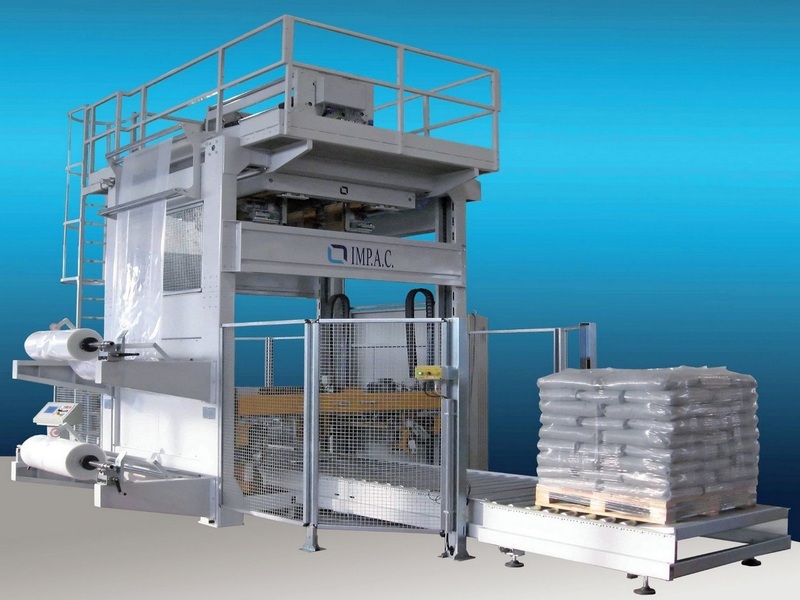 60 pallet/h) it fits with high productivity lines. Hooding works also with very unstable pallets which can’t be dealt with spiral wrapping. The film is used according to cold extension technique. 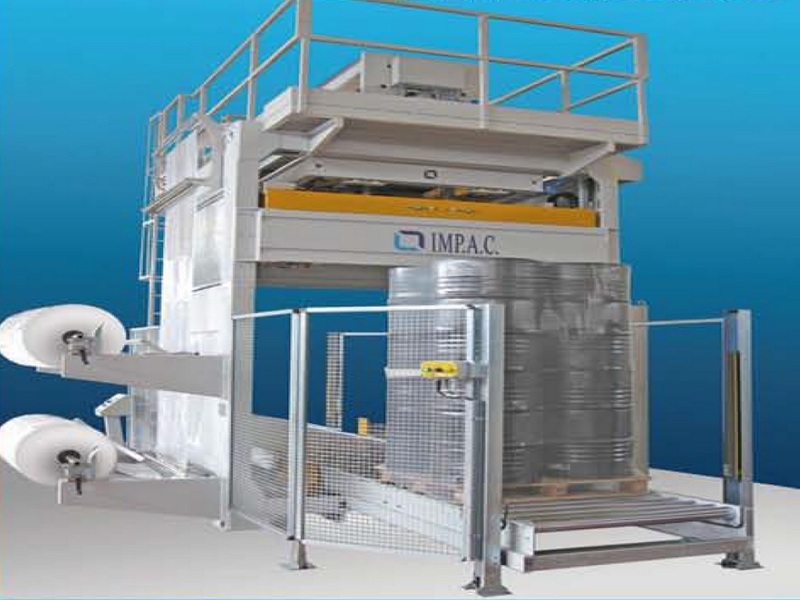 The machine self adjusts to each pallet’s height, making optimized lenght hoods.